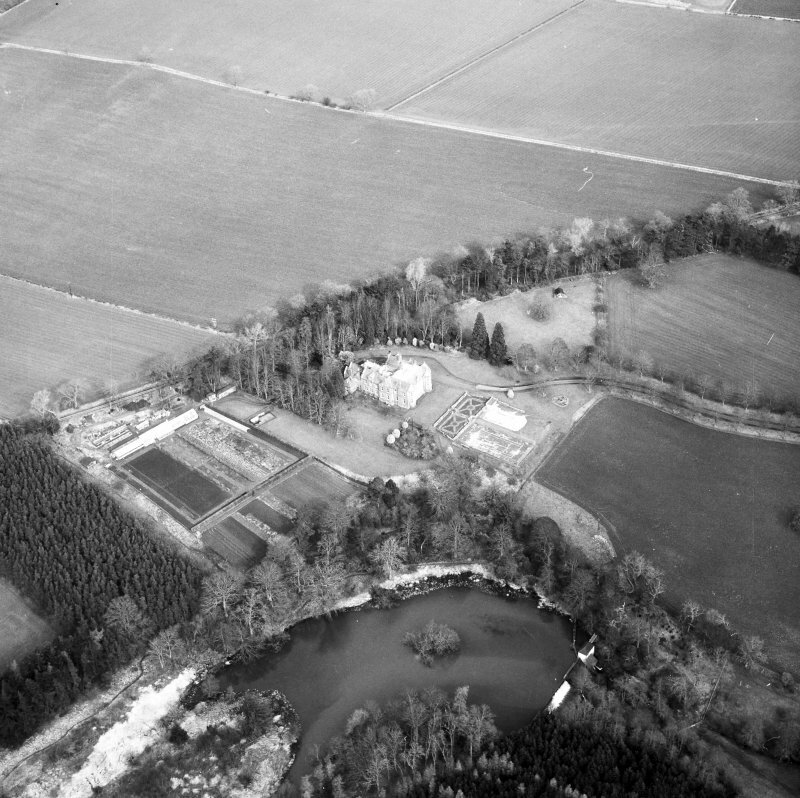 Oblique aerial view centred on country house from SSW. 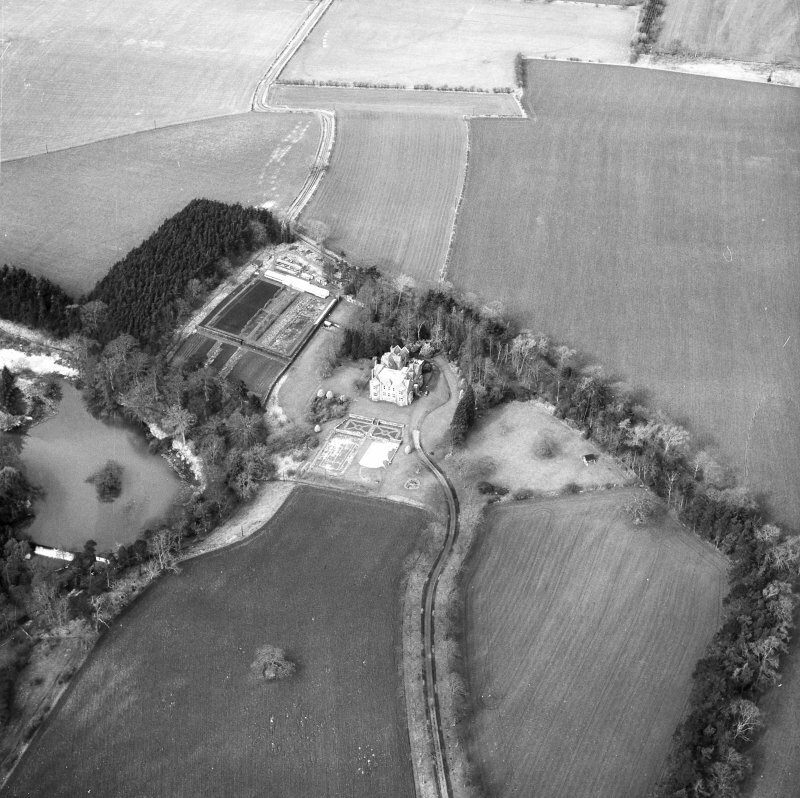 Oblique aerial view centred on country house from W.
Oblique aerial view centred on country house from E.
Oblique aerial view centred on country house from SSE. 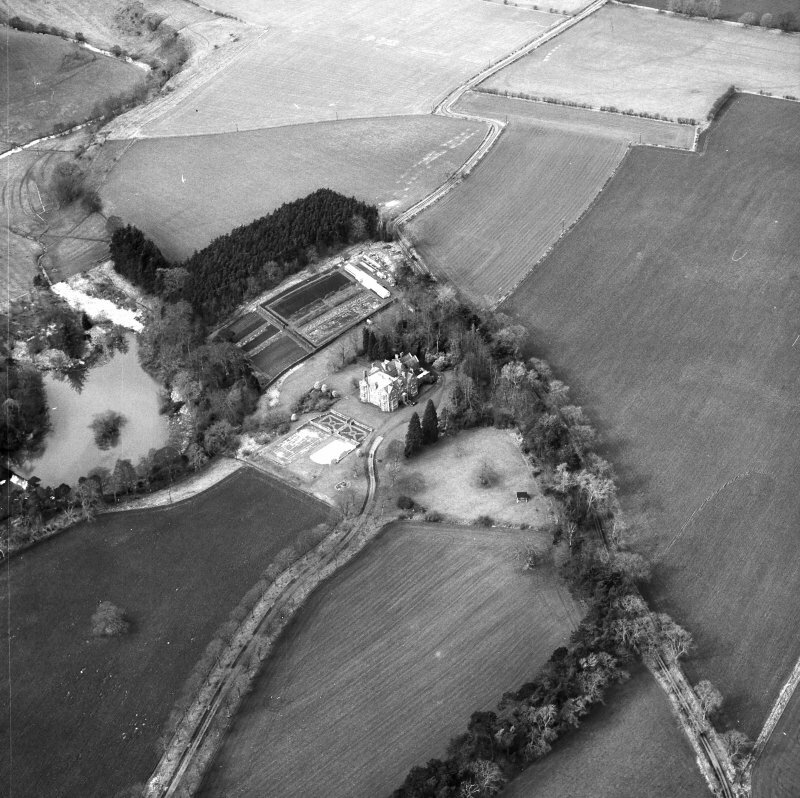 Oblique aerial view centred on country house from WSW. 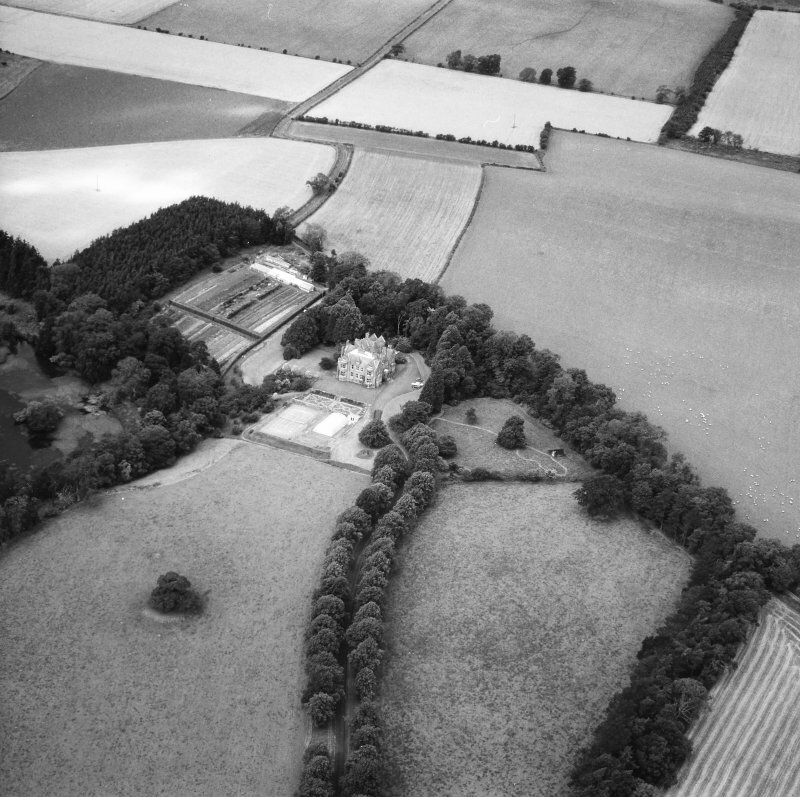 Oblique aerial view centred on country house from NW. Nenthorn House was built after 1862 as a replacement for Old Nenthorn House. The three-storeyed mansion has been attributed to the Edinburgh architect, Thomas Leadbetter, who designed it in what has been called a 'Jacobethan' style, that is, using features characteristic of Elizabethan and Jacobean architecture. 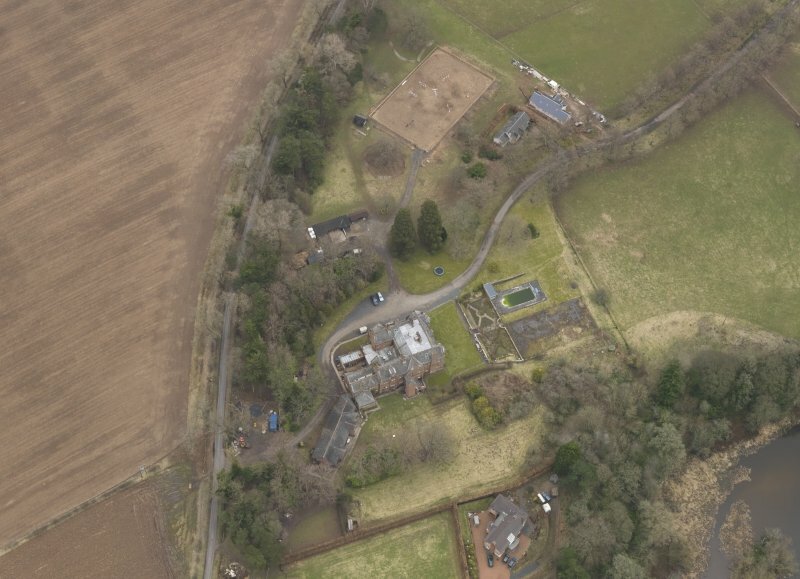 A Level 2 standing building survey and evaluation were conducted during May 2006 in advance of the partial demolition, restoration and extension of Nenthorn House. 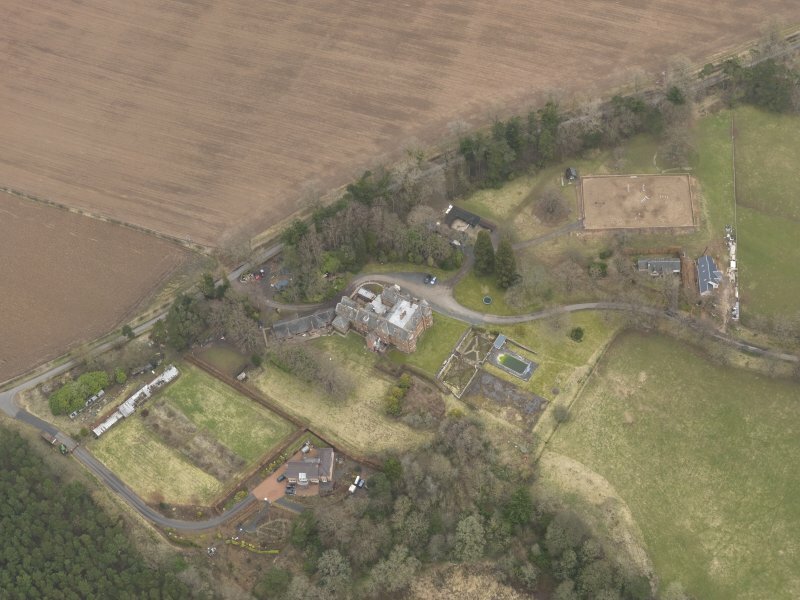 All external elevations were surveyed and photographed using an industry-standard reflectorless Total Station (REDM). Internal elevations and features were photographed and a measured plan of the buildings existing footprint was also taken. For health and safety reasons, it was not possible to enter the building for internal REDM survey, due to the questionable structural integrity of the building. 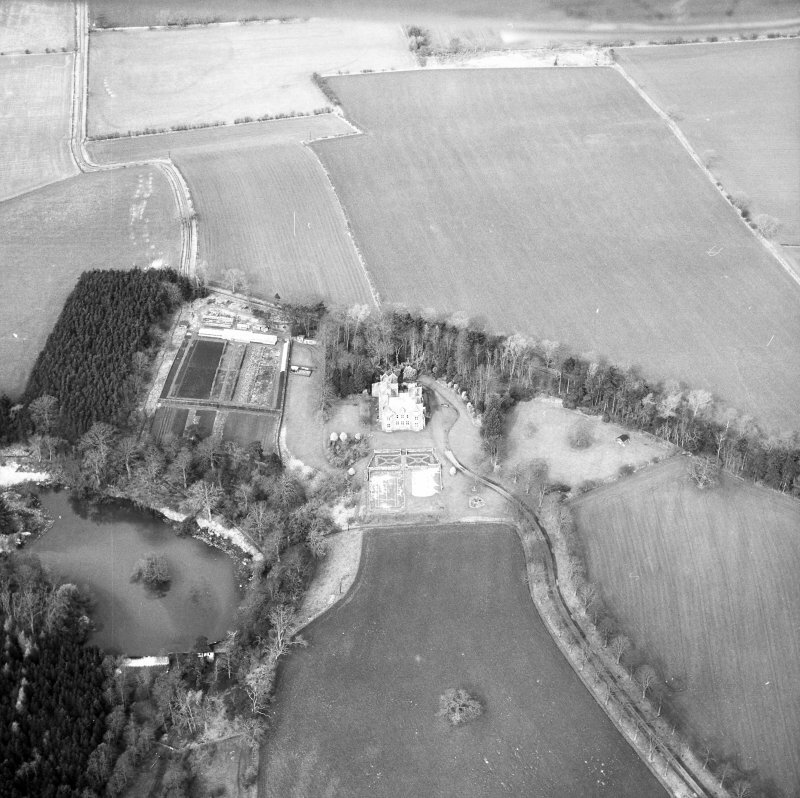 Analysis of the building through survey and desk-based assessment concluded that the remains on site are mostly associated with the 18th- and 19th-century development of Old Nenthorn House. 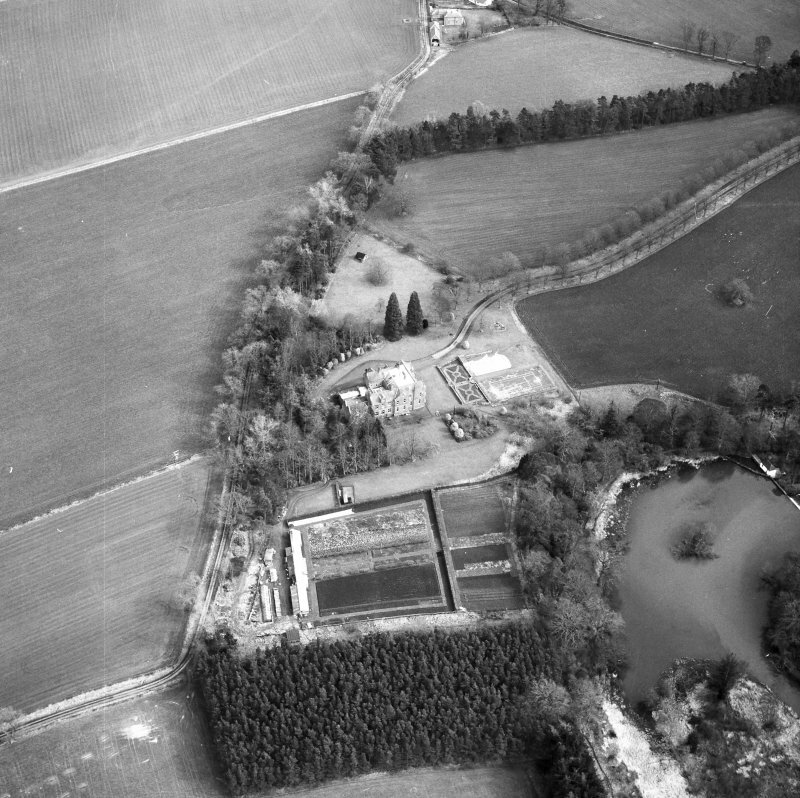 An earlier phase of development has also been identified and it is probable that a tower house initially stood on the site and remains only as the barrel-vaulted cellar and associated E chamber to the W of the structure. Five phases of development were suggested, including the erection of the structure, additions made to the original structure and the renovation of the existing elements. 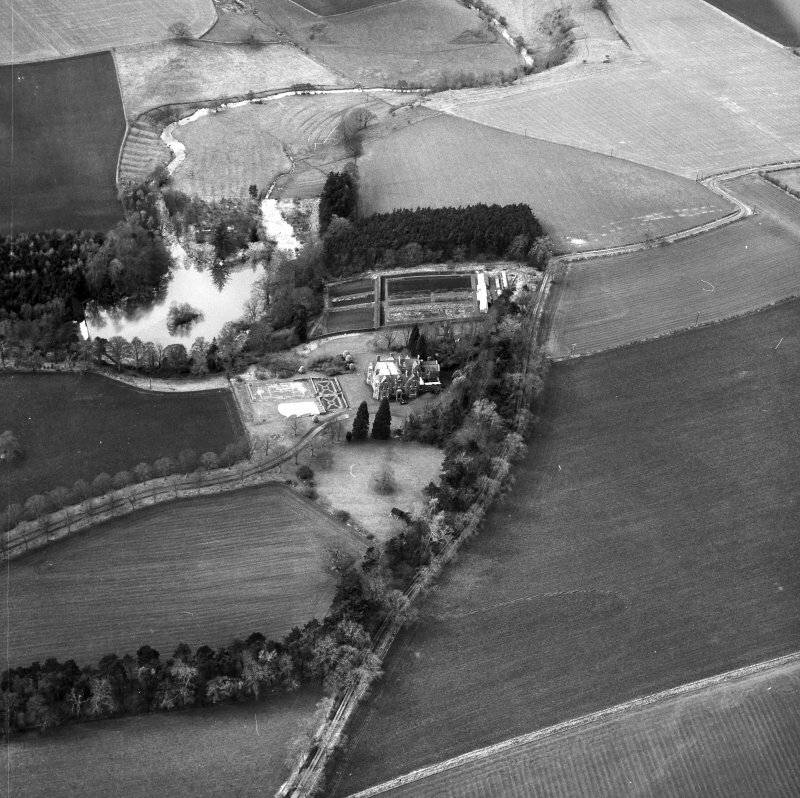 An evaluation of an area adjacent to the property was carried out through a series of trial trenches. 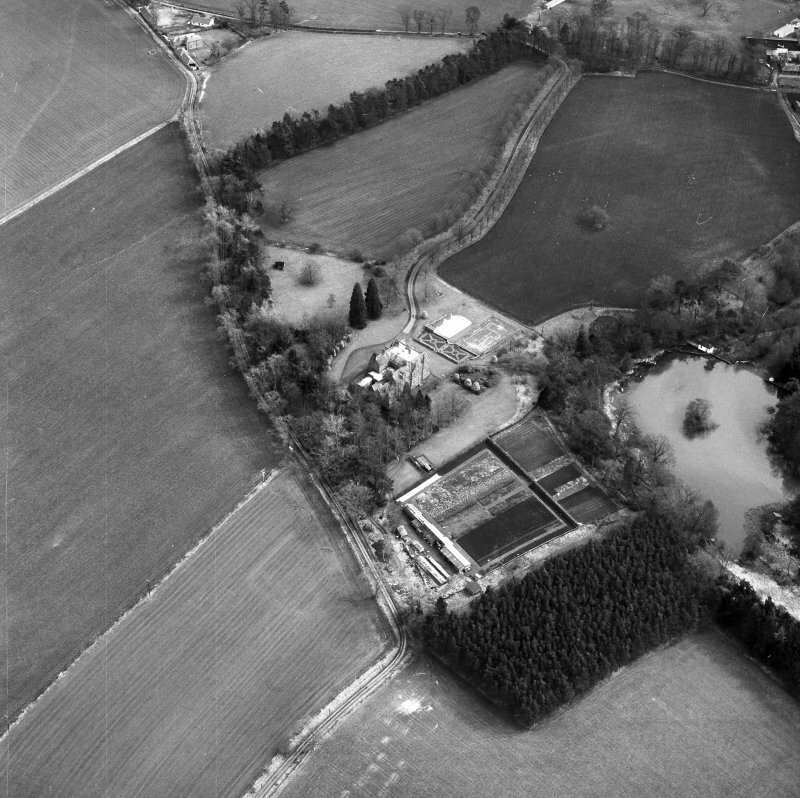 This was in order to assess the survival of any features of archaeological importance within the proposed development area. 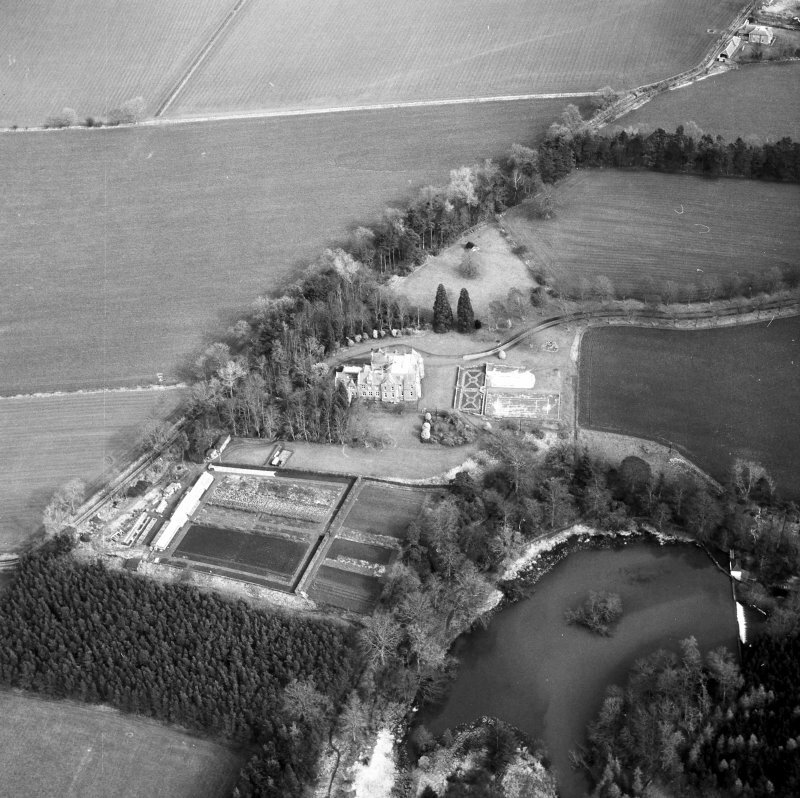 No features or deposits of archaeological significance were identified during the evaluation. 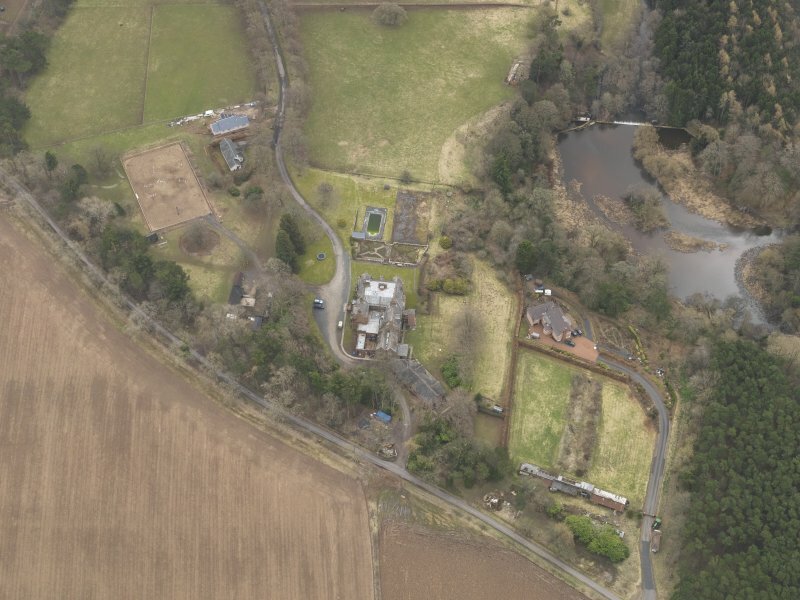 Report lodged with Scottish Borders Council SMR and NMRS.